A thought-provoking and eye-opening journey through world literature inspired by a quest to read a book from every country. In 2012, the world arrived in London for the Olympics...and Ann Morgan went out to meet it. 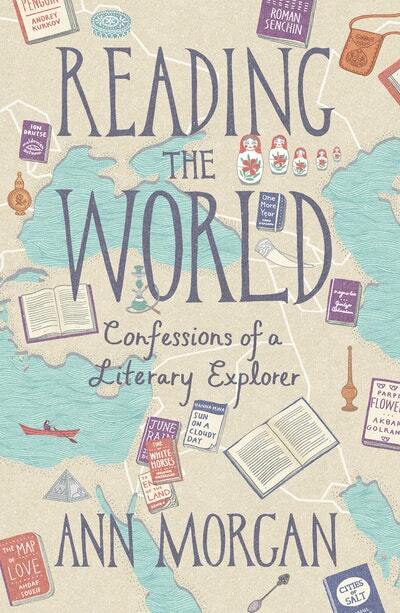 She read her way around all the globe’s 196 independent countries (plus one extra), sampling one book from every nation. It wasn't easy. Many languages have next to nothing translated into English; there are tiny, tucked-away places where very little is written down at all; some governments don't like to let works of art leak out to corrupt Westerners. Her literary adventures shed light on the issues that affect us all: personal, political, national and global. Using her quest as a starting point, this book explores questions such as: What is cultural heritage? How do we define national identity? Is it possible to overcome censorship and propaganda? And how can we celebrate, challenge and change our remarkable world? Love Reading the World? Subscribe to Read More to find out about similar books.